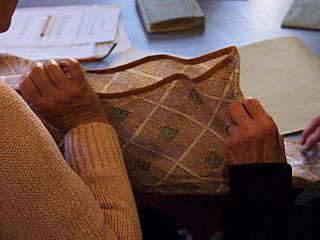 Yesterday, Wednesday 7th Feb, we held our first Friends Training Day on ‘How to Catalogue Museum Objects’. 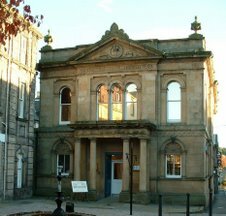 Five volunteers came along to the Tolbooth, two of the ladies were new Friends members, so hopefully we didn’t put them off future volunteering, with our documentation lesson (which some undiscerning folk find a leeetle tedious!). Personally, I am one of a rare breed that actually like cataloguing objects. I am looking forward to afternoons spent with some volunteers, going through the remains of the fascinating Aberlour Collection, starting the Police Collection and making a real dent on the backlog of fabulous objects we care for in our store. This process will be made all the easier, when we get our new Adlib computer documentation system – hopefully in March/April 2007. We are holding volunteer training sessions on a variety of subjects, including object handling, cataloguing, IT training, conservation, packing, research, computer documentation inputting…. We hope these will inspire new volunteers to join us and get involved with the varied world of museums work. Volunteers make a real difference to the museums service. Volunteering can be very rewarding and I’m not just talking about the guaranteed cup of tea and biscuits at the end of the session! Did you know the Museums Service is sponsored by jaffa cakes?